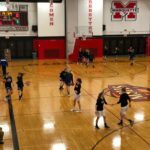 Marquette, MI – January 23, 2018 – The Marquette Redettes Basketball team could not be stopped as they sailed to a 68-35 victory over the Calumet Copper Kings at home this evening on Fox Sports Marquette 105.1-99.9. 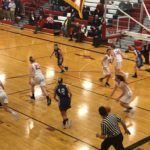 Kayley Elmblad got things rolling with the first bucket of an eight point scoring run for the Redettes. Calumet finally made it on the board with four minutes to go for a score of 8-2. Elli Djerf of Calumet nailed a triple to try and tighten their deficit. Avery Ledy answered right back with a triple of her own for a score of 11-5. 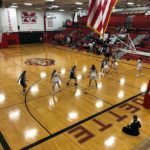 The first quarter ended with Marquette ahead of Calumet 14-8, and that was about as close as the Copper Kings got to the Redettes for the rest of the game. 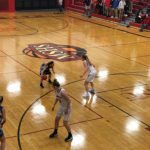 The Redettes won 68-35 over the Copper Kings tonight. 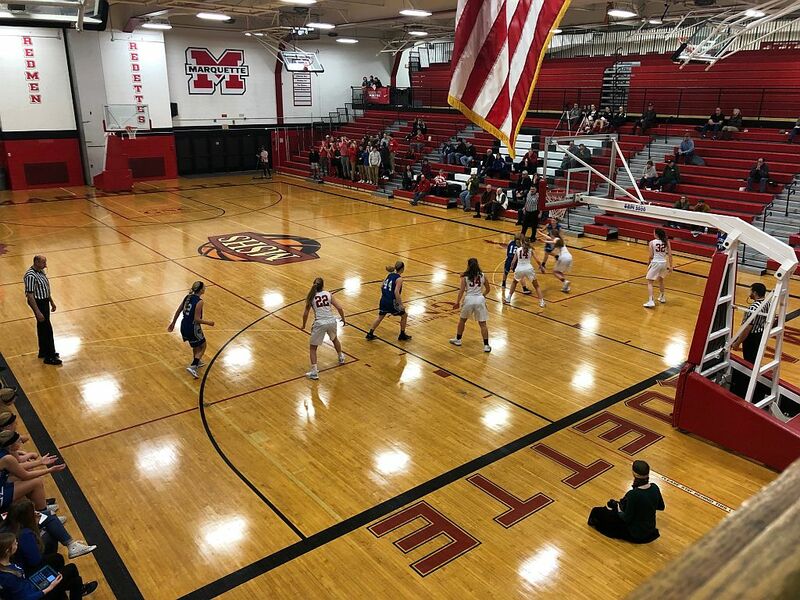 Marquette’s defense was outstanding as usual, but the real story was the Redettes’ outside shooting game. In fact, in the second period Ledy scored another triple right out of the gate. Sydney Kivi quickly put away a jumper for a 5-0 scoring run early in the quarter. Ledy offered one more triple in the second quarter and Madison Carter and Aspen Michelin each had one as well. Not for nothing, Djerf traded three-pointers with Marquette and kept the Copper Kings alive for a little while. She accounted for about 50% of Calumet’s points overall and had herself a strong showing in spite of the tough loss. A rock solid defensive effort and an electric offensive game kept Marquette well out in front though. 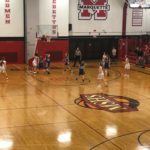 The Redettes opened up a massive deficit for Calumet with a 37-17 lead going into the second half. 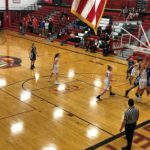 The Redettes won handily against Calumet tonight. The electricity of the first half followed Marquette into the second. 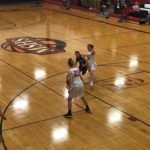 Sydney Kivi kept the quarter-opening triple tradition alive as she drilled a three-pointer with almost no time gone. 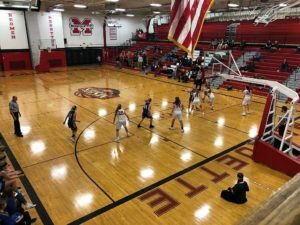 The onslaught of scoring did not stop and the Redettes entered into the final period with a 54-28 lead. 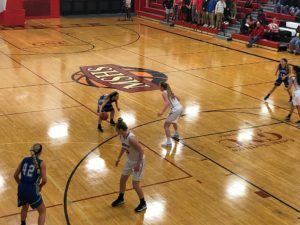 Another Redettes triple from Ledy off of an offensive rebound opened the fourth quarter. 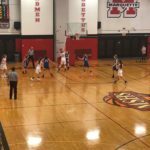 Marquette did not let up and finally doubled up on Calumet with a score of 64-32 and four minutes to go in the game. 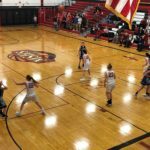 A Reegan Ketzenberger bucket triggered the running clock and the Redettes solidified their eighth consecutive win of the season. Marquette offered a balanced scoring effort this evening. Avery Ledy led all scorers with 21 points, Sydney Kivi had 15, Aspen Michelin had 13, Sofia van den Ende had 7, Madison Carter had 5 points, Kayley Elmblad had 4, Reegan Ketzenberger had 2, and Sophie Bartlett rounded out the Redettes’ scorers with 1 point for the game. 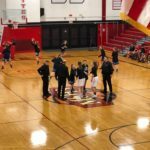 The Redettes will take on Menominee on Friday, January 25th on 97.5 GTO. Tune in for the pregame at 7:00 pm, tip off is at 7:30 pm. Calumet tried to keep up with the Redettes but were defeated in the end. 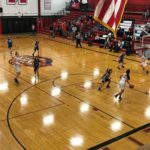 The Redettes had their eighth consecutive win tonight over the Calumet Copper Kings. The Redettes could not be stopped tonight. Some action under the hoop. Marquette’s defense stopped Calumet in their tracks. 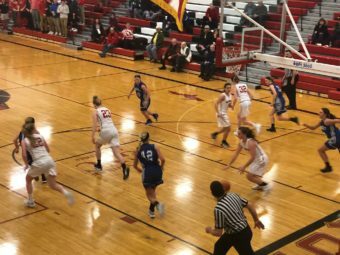 Triples were abound as the Redettes cruised to a victory over Calumet. Marquette’s offense was on fire tonight. Opponents shake hands ahead of game. 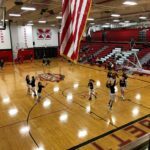 Redettes warm up ahead of bout against Calumet. Redettes warm up before hosting Calumet. 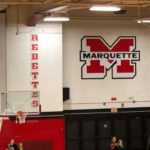 The home of the Marquette Redettes.